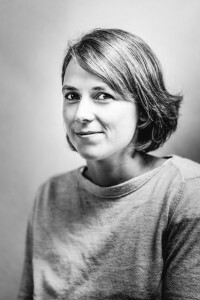 Hanne Phlypo has years of experience as a location hunter, production manager and assistant-director for several movies in Belgium and abroad. Her experience on set and with the production process enables her to have a comprehensive vision of producing and directing an audiovisual work. With Clin d’oeil she develops her own projects, while producing movies she believes in, movies that are part of a humanistic tradition and show an unbiased openness to the world.